B efore being named Dean in March 2004, Louis Pol was Associate Dean of the College of Business Administration and previously was a Professor of Marketing at UNO. He holds a courtesy appointment in the College of Public Health at the University of Nebraska Medical Center. His teaching interests include business and health demography, marketing research, and statistics. Dean Pol’s research interests include demographic applications, research methodology and statistics, and healthcare policy. Dr. Pol is the author of seven books. He is the author of Demography for Business Decision Making (Greenwood Press), and his Demography of Health and Healthcare (Springer) is the best-selling title in the Kluwer Population Series. He has published more than 80 articles, book chapters, and research notes. Dr. Pol received UNO’s award for distinguished research in 1995. His most recent work focuses on the determinants and consequences of being without health insurance, and developing a methodology for identifying rural areas at risk to not providing adequate health services to their populations. 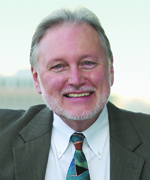 He serves on the editorial boards of Journal of Hospital Marketing, Journal of Professional Services Marketing, Journal of Marketing Theory and Practice, Health Marketing Quarterly, and Population Research and Policy Review. Dean Pol has contributed research, marketing and strategic planning expertise to numerous regional organizations such as the YWCA, Visiting Nurses Association, Nebraska Shakespeare Foundation, Girl Scouts of America, the State of Tennessee, and the City of Memphis, Tennessee. He has served on the Boards of Directors for Big Brothers/Big Sisters, the Nebraska Choral Arts Society and the American Humanics Program. He has served as a consultant to Westat Inc. of Rockville, Maryland, Ameritech Industries, U.S. Army Research Institute, Advanced Information Technology of McLean Virginia, InterAmerica Research Associates of Rosslyn, Virginia, Physicians Mutual Insurance, and Cox Cable of Omaha, Nebraska. Dr. Pol has been a panel member for a National Institutes of Health (NIH) study section, and chaired an NIH panel from 1995-1998. He is also a member of Population Association of America and is past president of Southern Demographic Association.